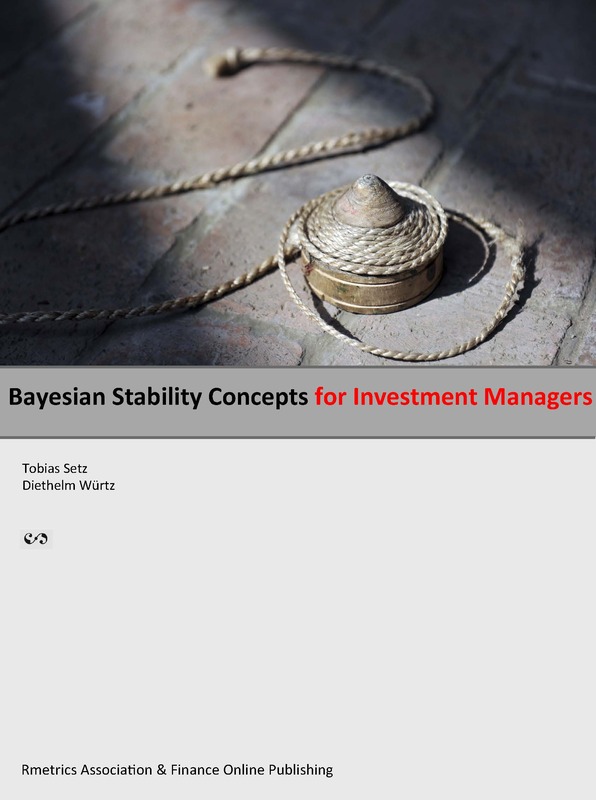 The eBook reprints several unpublished articles and reports from the Econophysics Group at ETH Zurich.The articles show how Bayesian stability concepts and related approaches can be used by investment managers to analyse their portfolio design and to improve performance and risk management. The book is devided into two parts. The first contains three Chapters about the theoretical background, and the second contains six Chapters with applications. The applications include topics from rating and ranking assets by stability, from stability parity indexation, from Bayesian switching strategies, from stabilization of portfolios, and from sector rotation. (Note: Chapter 7 and 8 are written in German). Diethelm Würtz is Professor at the “Swiss Federal Institute of Technology” (ETH) in Zurich. Diethelm is teaching regular ETH lectures and seminars in Computational Finance and Financial Engineering. He is involved in the organization of the “Rmetrics Summer Schools” and in several international workshops, courses and meetings in Europe and Asia. He is President of the Open Source “Rmetrics Association”, Senior Partner of “Finance Online GmbH” and Co-Founder of “Sidenis AG” in Zurich.